Our plush cats will turn anyone into a cat person. Whether you are looking for a gift for a special someone or need to bring cheer to someone’s life we can help. 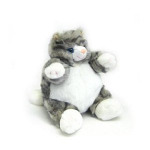 Every one of our stuffed animal cats was handpicked and evaluated for quality so you can be sure that it will last for years to come. 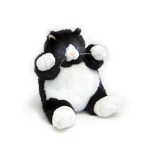 We are proud to feature some of the most unique plush cats from specialty designers. A new personality is crafted into each stuffed cat making every cat unique to every owner. 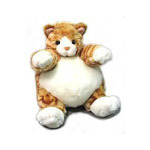 Brighten someone’s day with one of our specialty stuffed cats such as the Orange Tabby Cat Plumpee, Bella Birman Cat Flopsie or Tasha Himalayan Cat. If you have a particular cat stuffed animal in mind please feel free to contact me. We are actively looking for new models so may have what you are looking for.